We are looking for you! Yeah! In this game you must save your world and kill all the foes here. So, are you ready for that? Then just be attentive and careful enough to survive. Use the arrow keys to move and space to fight. You will cope with it, have no doubt. Have you ever seen that?! Just imagine that you are a real warrior! 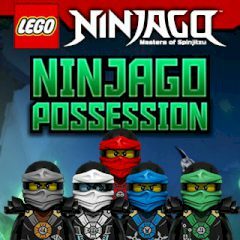 Well, in this amazing game Lego Ninjago's world has been possessed. That is why, your job is to break this curse and bring back good to the Lego ninja world. Are you able to do that? Then just do not waste your time and be sure that you will cope with it. It is so easy to play! Just hold down the CTRL key and scroll the mouse middle button up to zoom in and down to zoom out and use the arrow keys to move. Everything depends on your skills.